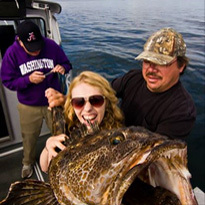 We are a local family owned Seattle fishing charter with years in the business and an excellent reputation. 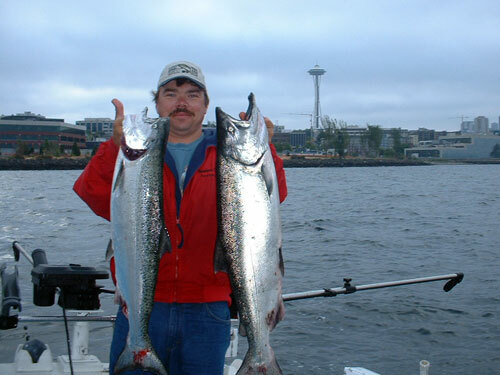 We provide fun and enjoyable fishing trips with friendly expertise and have scores of regular repeat customer from the Puget Sound area. We have an excellent reputation of effort and honesty. 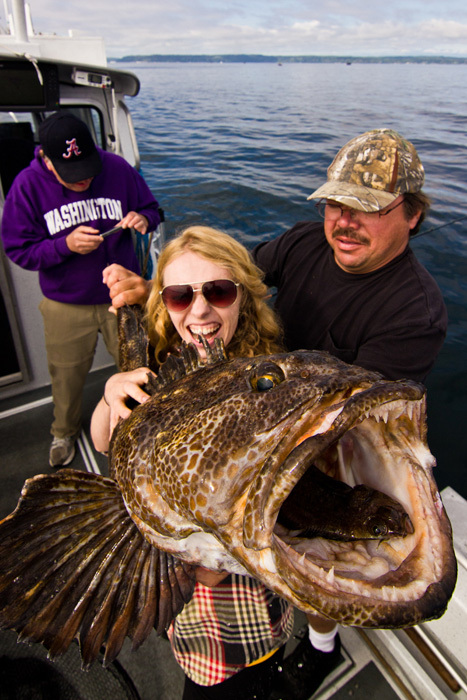 We are one of the most competitively priced of the high-end Seattle fishing charters. 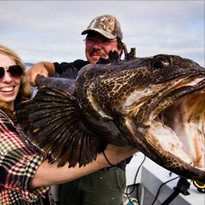 You will not find a better charter by spending more. 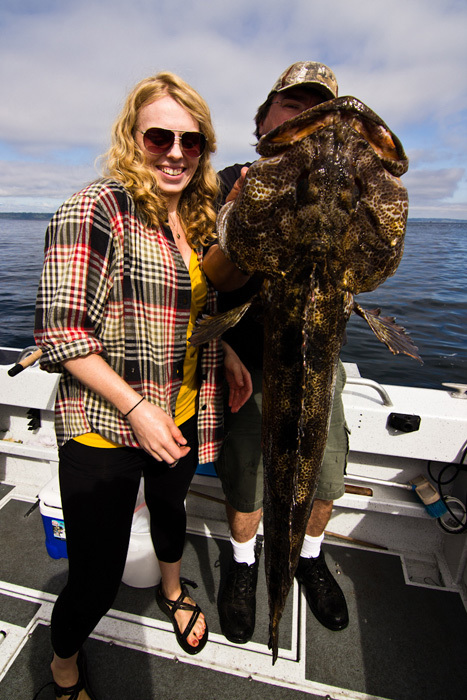 For 2015 we are operating 2 boats, both very clean and with local expert skippers and top notch equipment. 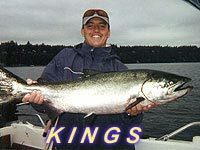 We are one of the top fish producers in all of Central Puget Sound and it is no accident. 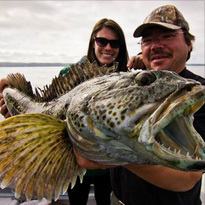 Please read our reviews and feel confident to book a trip with us. 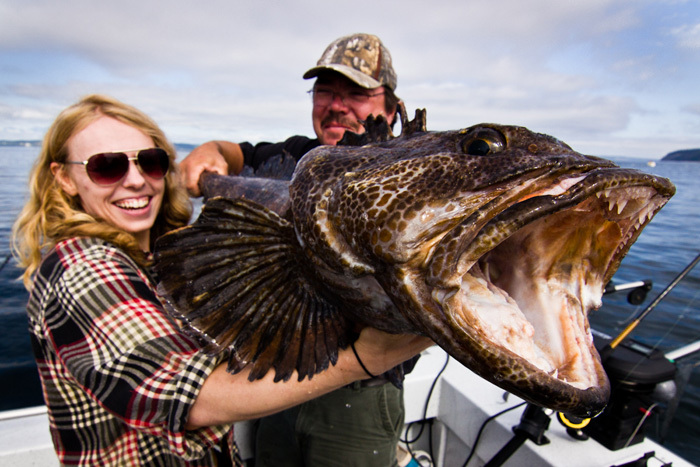 Call our phone number and you will get the owner and head skipper--not a booking agent. Ask some questions! 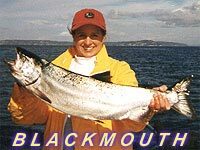 We look forward to not only having a great day on the water with you and charging a fair price, but also to making another regular customer! 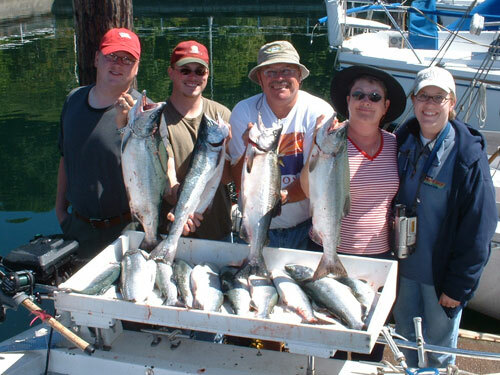 Most fishing trips average 3-5 people but we can accommodate up to 6. 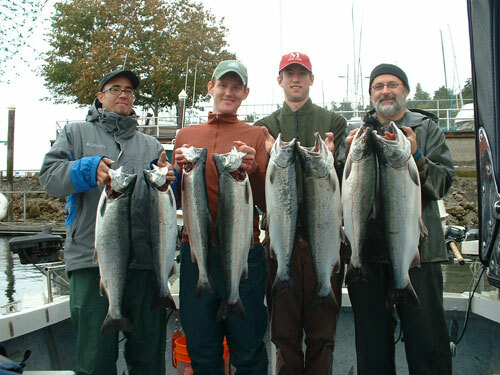 For larger groups we can often add multiple boats that will depart from the same marina and usually fish in close proximity. 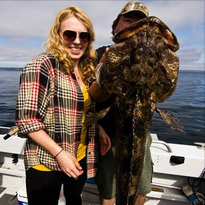 Adventure Charters is very happy to announce that we have been selected by NOAA National Marine Fisheries Service and the Northwest Fisheries Science Center to participate in a genetic sampling study of Canary and Yelloweye rockfish. 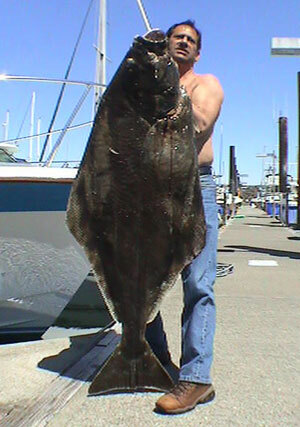 "Discovery Bay Marine Pot Haulers are serious pot pullers for serious fishermen. Locally made in the Northwest, these are tough and rugged. A superior puller above all others." We are expanding to 2 boats. We will now be offering full 6 hour mid day or pm trips priced comparable to most 4 hour trips being offered elsewhere. This is a great choice for those who prefer not to get up before the sun. 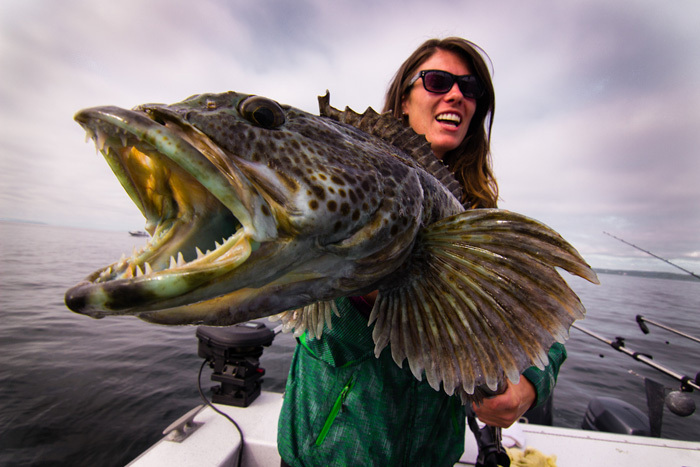 We are proud to be part of TEAM LOWRANCE... the best fish-catching technology on the planet! 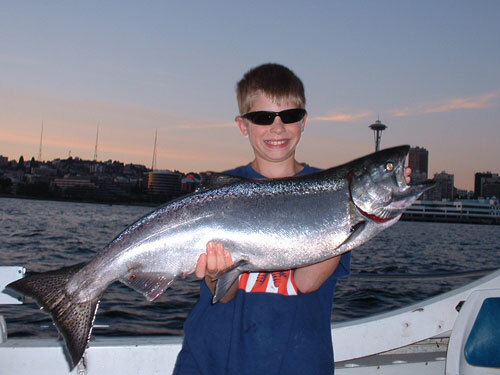 Puget Sound offers excellent fishing opportunity, literally just minutes from Seattle. 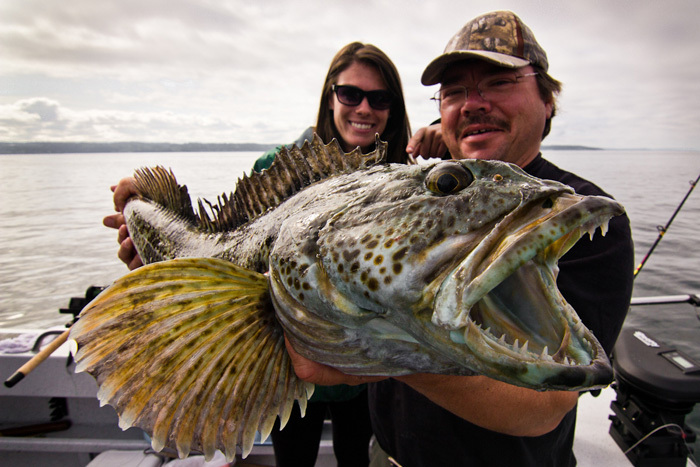 Salmon are hard fighting, exciting fish to catch, as well as world-renowned tablefare. 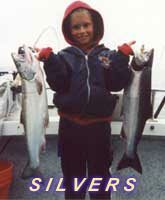 Fishers of all ages and skill levels can be successful in catching the 'big one that didn't get away'. 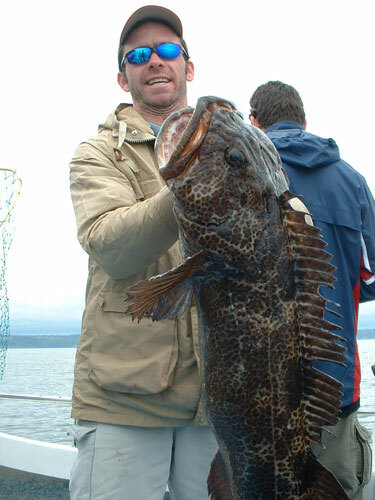 "After years of charter fishing and a lifetime of experience on Puget Sound, I have found no finer product or better value than Lowrance marine electronics. With intuitive-to-use, cutting edge technology, I am blown away by the HDS GEN 3 line. 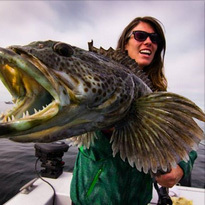 Lowrance products are a huge contributor to our success."